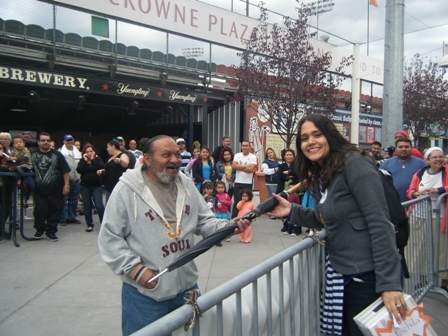 Attorneys and staff of Michael J. O’Connor & Associates helped to celebrate with residents of Berks County during the 9th Annual Latin Festival held at the First Energy Stadium in Reading, held on Sat., Sept. 29. The law firm’s booth, located next to the stage, provided a perfect view of the event while handing out free t-shirts, pens, and other giveaways to festival attendees. 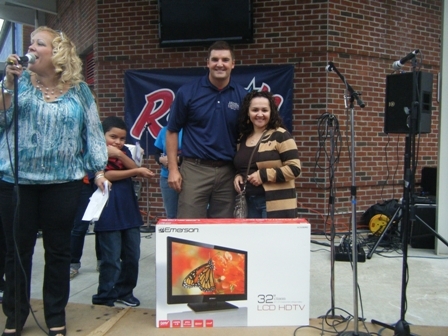 Ana Cruz was the big winner of the day, leaving with a 32″ LCD high definition TV compliments of Michael J. O’Connor & Associates. 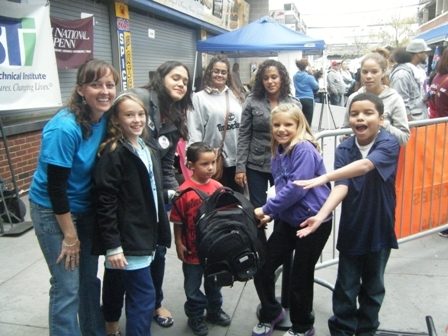 Jaime Diaz won a backpack filled with school supplies. Another lucky attendee won a Michael J.O’Connor & Associates umbrella. Thank you to everyone in the Berks County area who was able to make it to the Latin festival. We look forward to celebrating with you again next year!